IMCDb.org: 1958 Plymouth Belvedere (as Fury) in "Christine, 1983"
Carpenter a bien choisi son heroine , a la fois seduisante et inquietante ..
> qui ne s'est pas posé la question un jour : " c'est quoi cette caisse dans christine ? " Dans le roman dont ce film a été tiré,la voiture était bien une Fury '58,mais c'était un modele 4 portes.Je trouve que la 2 portes est un meilleur choix pour le film.Elle a un look plus agressif. Ce qui veut dire que,pour une fois,Stephen King s'est mal renseigné avant d'ecrire son roman. In terms of trim and color it's actually more likely a Belvedere than a Fury, regardless of what the script says. I HAVE ONE!!! C'est effectivement une Belvedere et pas une Fury !! Néanmoins c'était nettement plus évocateur de parler d'une "fury" que d'une Belvedere ..
Les Fury sont toutes "bucksin beige", ont des inserts latéraux anodisés or (aonsi que la calandre). les Belvedere avaient aussi des inserts mais anodisés "silver" avec l'option "sportone". Dans le bouquin, c'est une Plymouth 58 berline, je me rappelle nullement que King citait un modèle comme Fury, Belvedere, Savoy ou Plaza ..
Christine was said to be a 1958 Plymouth Fury, which had similar panels and trim to the 1957 model. When the Fury name was introduced, it was essentially a sport and trim package on the Belvedere - notably two doors, gold anodized trim, gold grille, and dual four-barrel carburetors. Christine, as shown in the movie, could have been any two door Belvedere with a 318 or 350 engine. Although over 5300 Furys - and far more Belvederes - were built in 1958, they have since become very rare and are now collector's items. There were 13 or 16 (depending on source) Belvederes/Furys smashed in the making of the movie (out of the roughly 25 used during filming), but it is unknown whether they were 1957 or 1958 models, or a combination. In any event, Plymouth enthusiasts were infuriated, though the movie popularized the car and probably saved many of them - just like what Back To The Future did for the Delorean. In the original Stephen King book, the car had 4 doors, but this was changed to a 2-door model when it was realized that there never was a 4-door 1958 Plymouth Fury. Although all 1958 Plymouth Furys had Buckskin Beige exterior paint and gold anodized aluminum side trim & grille, the book mentions that this particular car was custom ordered in Ford red. Look at Christine's grill. The grill extends below the chrome bumper. Now, during football game and when Christine is being run over by Dennis in the CAT, their is no grill below the bumper, just a red extension and a license plate. It was just "Fury" in 1958. The Fury was a Belvedere sub-series containing only the special high-performance sport coupe. And nevermind what's shown in the movie. They used different '57 and '58 Belvederes and Furys for the movie, but it's indicated as a '58 Fury in both the movie and book. "Bought her back in September of 1957. . . . Brand new, she was. Had the smell of a brand-new car, and that's about the finest smell in the world." Everyone sais its a fury -58. The front tells you that, same to the side decor. The emblem on the hood isnt on the Fury. The fury´s goes in a more straight line, the Belvedere's sidechrome is like "an arrow"
Well, the "real" Christine is a '58 Fury 4-door according to the book, but there was no 4-door Fury in '57 or '58. The car on the back cover of the book is a '57 Plymouth, but it only shows the front so I can't tell if it's a four-door or two-door. And, in the movie, Christine is a 1958 Plymouth Fury coupe. And, technically, Christine is either a)A 1958 Plymouth Sport Fury Custom/Plymouth Fury Custom b) Another car completely like a Plymouth Plaza, Belvedere or Savoy or c) a 1958 Plymouth Belvedere. I would go with a Belvedere, although Christine is meant to be a Fury, she seems and looks more like a Belvedere. King should have done more research on the Fury. Oh, and I just ordered the Special Edition Christine on DVD with an interview with directer John Carpenter and actor Keith Gordon. It also has 20 alternate/deleted scenes, with that and the interviews hopefully will give us some answeres on Christine. I will also post some more pictures here of Christine and the other cars. 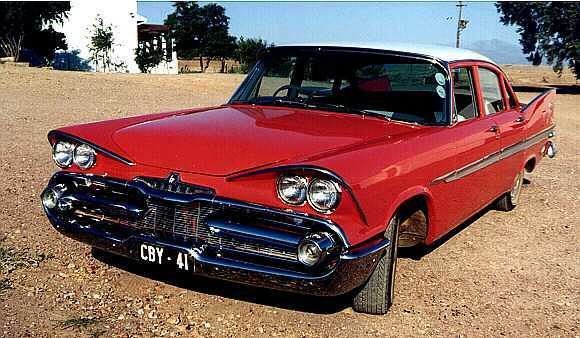 explorer4x4 wrote And, in the movie, Christine is a 1958 Plymouth Fury coupe. Christine was a magic car so it could break certain rules. There was a part in the book where a bunch of guys lifted up the back end of the Fury to play a joke on LeBay so he couldn't drive away, but the car took off as if it was FWD. Maybe Carpenter should have used a four-door Belvedere for the movie instead. I think '59 Chevrolet would have been better choice as Christine by King, it looks far more demonic, especially from the rear. Yeah, but it doesn't sound the part. "Fury" just sounds meaner than "Chevy." And just thinking about it, you can kinda visualize the car looking more demonic than it is just by naming it a Fury. BeanBandit wrote I think '59 Chevrolet would have been better choice as Christine by King, it looks far more demonic, especially from the rear. I don't know, the Fury seemed the best and only choice for a car. 59' Chevy's seemed a little to futuristic for a killer car. It also looked pretty creepy, especially when the first time you ever watched it was when you were 5 years old. I thought that, an ideal murdering, creepy looking and sounding car would be some old 50's relic with fins, a large front bumper and duel headlights, and the Fury fit right into the slot, complete with a strong, loud engine and a "V" on the wood that kind of finished the masterpeice. And qwerty was right about "Fury" sounding betetr then Bel Air (makes you think up-class luxury), Biscayne (to me it sounds like an exotic bird), Impala (it is a deer like animal, oooo, creepy) or Malibu (Grand Theft Auto Vice City dance club). And I just realized that "qwerty" was the first six letters on the upper left corner of the letter area on a computer keyboard! P.S. The Christine DVD has not come yet..... Late I suppose, I am homping it'll come before my family and I drive back from Alaska to Connecticut in our 86' MCI MC-9. Yep, that's where my name came from. ya, I always wondered why your nickname was "qwerty", pretty cool idea! Me likey, Me wanty. just being funny, this really is a beautiful car. I remember reading a website saying that There should be a second Christine movie even though Stephen King never wrote a "Christine II" story or something. I agree with them, what does any one else think? After all, christine was crushed into a block at the end of this movie and and just before the credits, 'she' slowly started to fix 'her' front grill. In the movie they disguise two Plymouth Belvederes and a Savoy. I know the Savoy was used when Darnell is killed. They said in the commentary they used parts from the Fury to disguise their Belvederes and Savoy. The grill section under the bumper on Christine constantly changes from chrome, to painted to just a filled in peice of metal. Most notably is, just after Arnie discovers that Buddy and his gang trashed Christine it is a chrome grill and when Christine is fixing herself, it is a red painted grill. Explorer4x4 wrote The grill section under the bumper on Christine constantly changes from chrome, to painted to just a filled in peice of metal. Most notably is, just after Arnie discovers that Buddy and his gang trashed Christine it is a chrome grill and when Christine is fixing herself, it is a red painted grill. The lower grille is painted on all 58 Plymouths. the car in those scenes are just missing the metal strips that go over that. I love this movie I watch it almost everyday. I own 4 copys of it special edition, 2 widescreen,an vhs. I also have the book all of the errors in the book are because stephen king started writing the book in the middle before he decided christine was going to be a fury. When he first started writing christine she was going to be a belair. Chistine was one of the best movies made, and is always!!! That car i want in my garage!!! I Want a second Christine-movie!! It would be very succesfully!!!! I love that scene in the main pic when "Bad to the Bone" is playing. Cool songs, cool car, cool movie! Certainly has that mean look! A "Christine: The revenge" has to be with the same christine(plymouth fury '57) because at the last scene of the movie she stil moves!!! She isn't gone!!!! I was the one that posted that. YOu can find there some clips about the movie. If i have the chance to buy a Plymouth '58 or '57. Since I love this movie, and the car, and know most of you do too, I found a video-link of one of the original Plymouths used in the movie. Pretty cool considering this car is one of the survivors, now 24 years later. Why did they have to wreck so many of these cars? These cars will never come back! This is why I don't like to go to demo derbies! The '58 was pretty cool,but i've always thought the '59 had a much,much meaner grille. Well you can look at it this way, there are more 57/58's today with the movie than there would have been without it. It's color is indeed in the book and the movies deleted scene autumn red but in real life the cars were painted GM spectra red. I'm sure it was a Fury, was the Belvedere available as a coupe? Yes, but, cinematically, "buckskin beige" doesn't appear as menacing! This was Plymouth's only available color for 1958 Fury; 1957 was even worse: "eggshell white!" antp wrote Christine, as shown in the movie, could have been any two door Belvedere with a 318 or 350 engine. This was just copied from IMDB. Wikipedia article about the Belvedere mentions that the 318 V8 was added in 1957 and was available on all Plymouth. Although this is said to be a Plymouth Belvedere, it is actually a 1957 Plymouth Fury introduced for the 1958 model year. If You've seen the movie, you know all too well that Christine (the car) is a well disguised killer and has the ability to regenerate herself. The red and white paint scheme was custom, and so was the grille. IMCDb seeks to label actual cars used on film in a motion picture (and included in animated films). How does the site account for Plymouth models other than Furys? Members of IMCDb should obtain empirical evidence that ay least one Fury was filmed in a scene that can be found in the final studio release. Talk to the prop master ask about studio records. Somebody knows! Chrysler actually made two separate 318 V8s over the years. The original "A" series 318 V8 was introduced in 1957 and made until 1967. The "LA" series 318 was introduced in 1967, and was based on similar architecture, with the same 3.31 stroke and a 3.91 bore. The "A" and "LA" series 318s look simililar from the outside and have the same basic cylinder block design, but the old "A" series had much larger, "polysphere" heads, and a heavier cast block (55 pounds havier than the later "LA" blocks). Produced through 2002, the "LA" series 318 is the engine that most people think of when you say "Chrysler 318." The book was not written by a car guy. thats why He says it had four doors. and that it was red. He probably liked the way "Fury" sounded. then it was now up to the movie makers to bring it to life. i say it is a fury. if u look at the shots of the front, rite above the headlights, there is a small turn signal light. like its like between the two headlights, slightly above them. theres one on each side, and only the fury had those lights. the belvedere didn't. I think you'll find XFJaguar that all the '58 Plymouths regardless of trim level or bodystyle had turn signals between the headlights. My research indicates they used 12 Plymouths in Christine, though sources, including Stephen King, have quoted 17 or 18. They used a mixture of 57s and 58's and adapted them to look like Christine - a 1958 Fury - with gold painted trim made from metal chequer plate. A lot of parts, trim pieces, hubcaps and panels were moulded from rubber and glued on as it was quicker and cheaper than sourcing lots of genuine parts. Apparently one four door was used but I've never spotted it. Many cars were repaired and reused, especially for front and rear crashes. Ie if they wrecked the front end then that car might later be used for a rear impact. Ditto cars that got T-boned on one side were reused. Front and rear panels were cut off and welded onto other cars. They had a full time garage running fixing up the cars. Even in the early 80s these Plymouth coupes were rare and hard to find. I've heard from various sources that the movie people turned down buying Plymouths that were too nice to wreck, although a couple of easily restorable cars were totalled. At the end there were two 'Pristine Christines' left - these were close up cars with mint paint interiors and bodywork, both were apparently given away in competitions. Quote I felt all cold when the Bullys broke in, smashed it up and crapped on the dashboard! If it helps you any several of the actors who were swinging the hammers got injured with cuts from sharp pieces of trim and broken glass - these cars don't go down without a fight! Christine is meant to be a 1958 Plymouth Fury--NOT a Belvedere, Plaza, or Savoy! I know that several Belvederes and Savoys as well as tons of Furys were bought and turned into Furys...but the car is meant to be a Fury! I don't see a whole lot of differnce in the grill of a Fury or a Belvedere. How do we know that this pic is one of the Belvederes turned into a Fury, or one of the actual Furys bought and still customized? This should be listed as a 58 Plymough Fury, NOT a Belvedere! I knew it wasn't a Plymouth Furry just by the head light. Can anybody get more pics of Cristine please? i think it should be listed as a fury, because that is what i search for when i want christine. I understand the discussion over this car, but some of the comments seem a bit off the point. The car in the book was a 1958 Fury 4-door custom ordered with red and white body/interior. The car in the movie is made to mimic a (non-existant) 1958 Fury 2-door hardtop with custom red and white body/interior. This was done by using Belvedere 2-door hardtops and customizing them with Fury features, but retaining the red and white color scheme. But the question then becomes, is the car in the picture a Belvedere mocked up to look like a customized Fury, or is the car in the picture an actual Fury that was modified to be a customized Fury. It doesn't change the fact that the car portrayed in the movie is supposed to be a customized 1958 Plymouth Fury. It's silly to say that if a car is painted a color it was not originally offered in, then it is not the same car anymore. The car is what it was built as. If it is customized, then it is an altered version of the original model. Listing the car from the movie as a Belvedere (as Fury) seems the best way to cover the issue. But if someone involved with the production can point to the car in that picture and say it was an actual Fury... well then that answeres that. All 1958 Plymouth products had the turn signal above and between the twin headlights. This was not exclusive to any model. I owned a '58 Savoy 4-door sedan, and it had the same turn signal setup. Not all 1958 Plymouths had body section below the front bumper painted to match the body. This area, called the "grill pan" was originally painted to match the body. This caused problems during production/assembly. The cars grill pans were later painted silver (or "argent"). HOWEVER, the 1958 Fury ALWAYS had the grill pan painted to match the special Fury body color. This information comes from WPC News Vol XIV no 5, January 1983. (This is a Chrysler club news-letter). I must partially disagree with the statement that more cars were saved because of the movie than otherwise would have been. While there may have been more awareness of these cars (resulting in some additional savings) I wonder whether or not the movie (owing in part to it's popularity) encouraged film makers to destroy other cars. Also, I expect more people came to enjoy scenes of old car destruction (and demand more) than were encouraged to search for and save these vanishing pieces of our culture. 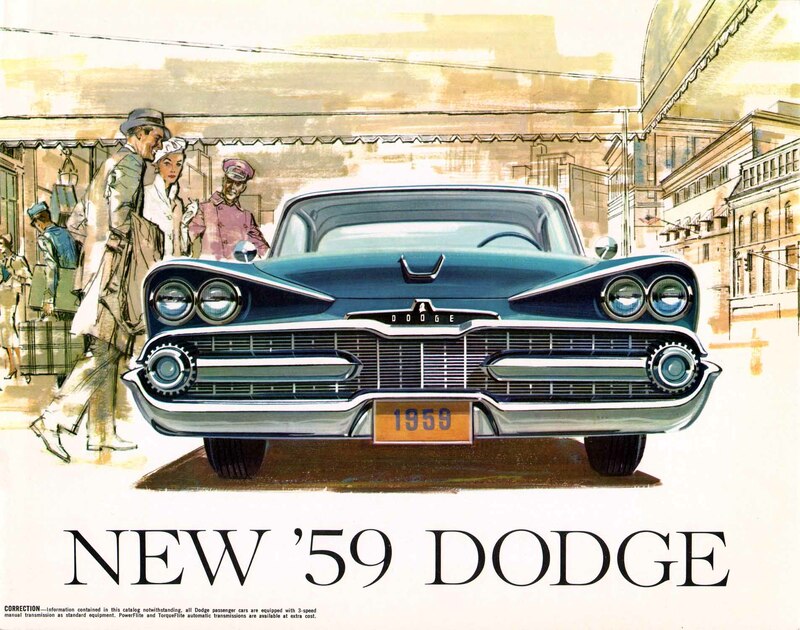 Unlike endangered species of animals that can regenerate themselves once protected, there will NEVER be any more 1957, 1958 or any other year Plymouths or other brands. Once one is destroyed, that is one less FOREVER. And once they are ALL gone (and some models of some makes have in fact become extinct) that will be it for all time. Not only do you loose cars, you also loose parts that could be used on other restorations. Mfinity wrote i think it should be listed as a fury, because that is what i search for when i want christine. back then, you could special order any car in any trim just as you can today. it would have been possible to get a red fury with silver trim if you asked for it. most of the scenes with the chrome grills under the bumper and even some above were just silver tape anyway. it is a movie, the cars are old, made do with what they had. Ah yes you are right, I know it's been two years, but I am just now seeing this. Is the magnum 318 considered part or the LA family? Audi and Lamborghini share a "318". It's their 5.2L V-10. Were is the car from the movie now? in the book, I remember it saying that LeBay ordered a 1958 Plymouth Fury Sport Coupe with a custom red and white paint job in September of 1957. But later in the book when Arnie and Leigh pickup a hitchhiker, he gets in through the back doors. I don't think that they made 4-door Furys then. One is in California which is the one that got Moochie and the other one is in Florida which is the one that killed the Camaro. You can read about them at the Christine Car Club's site. Not for those of us who love cars. And they trashed way more than one. Well, the movie was technically well done but those of us who love antique cars cannot forgive the wanton destruction of 12 or 13 very rare and collectible vintage vehicles. It is unfortunate that they couldn't even use a real Fury to play Christine! But then again, I do not recall anyone in the movie calling it a Fury. 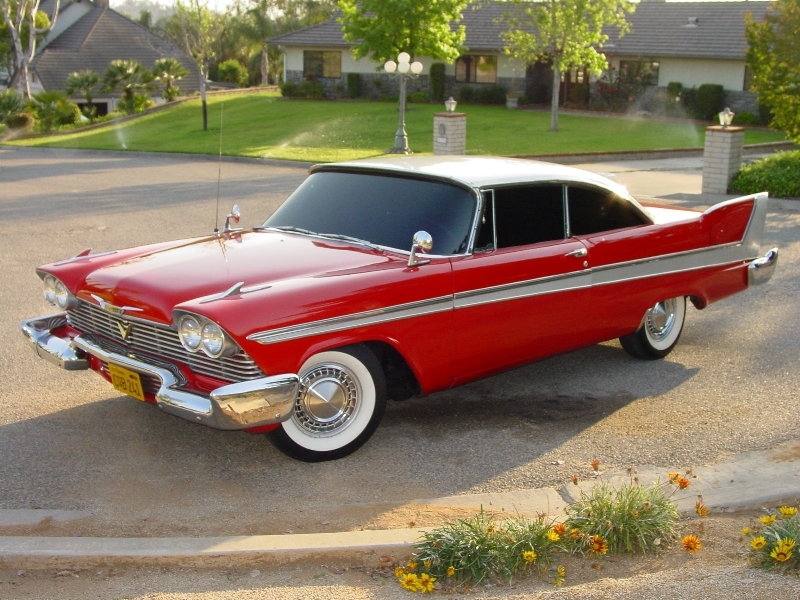 I do find it curious that in the novel, it is mentioned that the '58 Fury was never offered in red-and-white, which does not sound like something Stephen King would make up, but he wrote about Christine being a four-door car, when there was no four-door '58 Fury. Commander 57 wrote Not for those of us who love cars. In the book, they trashed it at the airport parking lot where Arnie was keeping her. THey did a lot more damage to her in the book. They put sugar in the gas tank and syrup in the carburetor, etc. I don't think they did that in the movie. you are almost right......In reality all 58 furys where off white. In the movie this Fury is possessed. Thats why it is the only red one on the assembley line in the begining of the movie! In reality 58 Furys were beige, and book mentions, that there was no red/white ones. Christine was repainted at dealer. keep in mind boys in 1980 people did not think "Hey we might be wiping this model car off the face of the earth" .... It didn't matter to them. Now we have company's like Picture Car Warehouse www.picturecarwarehouse.com What they do is take a car that is already beyond repair or wrecked and make the movie companys destroy them instead of sacrificing a perfectly good car. Look at what Toby Halicki did in the Junkman he wrecked over 150 cars,trucks and other vehicles. Same thing with the original Gone in 60. All we can do is enjoy what they have given us and be more aware for the future. As I've stated before, even "junk" cars carry valuable parts that could be used to restore others that are not so far gone. yes, but we can't keep every car ever produced. All the cars and parts used in the movie, with the exception of the two pristine Christines, were take to a local junkyard and useful parts were bought by Plymouth owners. While it's good that remaining parts were salvaged, lots of valuable sheet metal and trim was wasted along with everything else that was destroyed. No, we can't preserve every car but this was a rare and highly collectible vehicle at the time the film was made. If a movie was to be made about a fire in an art museum, would they actually burn up Rembrant paintings even if they could afford to buy them to be used in the film? Just as there will never be more Rembrants, there will never again be any more 1958 Plymouths. But enough. We could go on and on, I suppose. We've both made our points. I would rather see a car like this get "misused" like this that just sit in a field and rot away, which happens a lot around here (at least until the last few years when scrap got so high that every old car disappeared). I know where there is a 1970 GTO that has a tree going through it! The car has been sitting in the same spot since I was a kid, my dad even tried to buy it in 1993 but the owner said he was going to "fix it up someday"
They made a lot of the trim from moulded rubber that was painted silver and other parts were chromed using silver foil. Nightrider wrote In reality 58 Furys were beige, and book mentions, that there was no red/white ones. Christine was repainted at dealer. That may have been part of the plot of the movie, but as Nightrider said it was not part of the plot of the book (of which the movie is based on) In the book the original owner ordered the car painted red and white. 20 57-58 Plyumoths were wasted for this movie BUT don't you think on a globallevel way more than 20 were SAVED from the scrapyard thanks to this movie by making the car popular and desirbale for collectors even if as Christine clones ?? Christine's licence plate (CQB 241) stands for Close Quarters Battle and the 241 means two for one (Arnie and Christine vs enemy). In the special features on the dvd Richard Kobritz (producer) confirms that Christine was a 1957 Plymouth Fury and not a Belvedere. modell wrote I love that scene in the main pic when "Bad to the Bone" is playing. Cool songs, cool car, cool movie! COOL ALL THE WAY BABY!!! HELL YEAH!!!! For the link posted above. Most ForwardLook Mopar people stay away from Mopar Mel and I know others that went to him then got taken. No matter how you look at it and how much arguing goes on about this, Christine was a 1958 Plymouth FURY.. Take a look at the body trim differences between the Fury and the Belvedere.. Now compare to a side by side of Christine.. The Chrome/white trim on a Belvedere does NOT go up to meet the peek of the fin, as it does on a Fury, due to the fact that it (Belvedere) was a sports model.. Christine was meant to be a LUXURY queen that uses her charms (looks) to make Arnie fall in love with her.. The LUXURY Plymouth model for the year of 1958, was the FURY.. If this conversation went - I remember, King written that, according to Moochie, Cristine's front reminds grinning idiot - then must had to take Chrysler Imperial 1960, because he has such a front . And, he looks quite aggressive. For me, it's always been the 1959 Dodge. Looks like an aggressive tiger. JayMor81 wrote No matter how you look at it and how much arguing goes on about this, Christine was a 1958 Plymouth FURY.. Take a look at the body trim differences between the Fury and the Belvedere.. .... Christine was meant to be a LUXURY queen that uses her charms (looks) to make Arnie fall in love with her.. The LUXURY Plymouth model for the year of 1958, was the FURY.. The trim on Furies and Belvederes was nearly identical in 1958, except the trim on the Fury is gold plated, chrome on the Belvedere. The Fury also carried different badging....not seen on Christine. Fury was not a luxury model in 1958, it was rather a limited-edition high performance model. Belvedere was the highest "normal" trim level across all body styles. I highly doubt any of the cars used in this movie were actually Furies. Check out this tribute to the 1958 Plymouth Belvedere 'Christine' by the aficionAUTO. Check out their other videos too. They're well done. Christine Is A Beautiful Car From The '50s! In My Opinion, That Car Captures The Spirit Of 1950s Detroit! 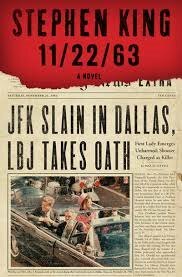 a red and white '58 Plymouth reappears in Stephen King's alternative history novel "11/22/63." I see the novel is a TV mini-series in production now. '59 Dodge w/Plymouth rear. Right hand drive. Australian? South African? thumbnails above show Fury's 150mph speedo. What I like about this car, is that she's a classic and as well as all the old songs that she plays on her radio... that and I love the sound of her loud V8 engine. If I get my license and had the money I would like to own her. qwerty_86 wrote It was just "Fury" in 1958. From what I know about the car, September 1957 was when Plymouth started to make the new Belvedere models for 1958. I've got the 1/18 scale model of her which I got for my 14th birthday from Games World as well as the movie AND the Stephen King novel. The only thing is, my model didn't have the aerial when I got her. Recent quote (2014) from associate producer Barry Bernardi, re a production still of the Plymouth assembly line by unit photographer Kim Gottlieb-Walker: "Look at that assembly line. That is great! I found all the cars. This was before 9/11 of course, so you could just call the DMV and they would give you a list of every owner of this kind of car in the state of California. We bought eighteen of them and used them in different crashes, degrees of destruction - half destruction, a quarter destruction. We painted all the Christines red ultimately." So that confirms the number of Plymouths used in the film - 18! They sound almost proud of it. Basically describing an antique car search-to-destroy mission. You can always rely on your Chrysler V8 engine to sound very intimidating and guarantee a win in a Drag Race. Norrloader wrote Everyone sais its a fury -58. Your post was 10 years ago today. Did you end up buying your car? Not sure what you mean about the missing hood emblem. Here's a great 1958 Fury specimen. The "V" is harder to see since the grille trim is also gold. Pretty sure they didn't have the pop-up push button door locks. Haven't seen a '58 Plymouth with them except for the ones associated w/the movie. Good eye oddsox. Those were added for dramatic effect. Fun fact: Christine guest stars in "Sharknado: The 4th Awakens". And she is actually "good" in it. good ? or just waiting to run over the people injuried by sharks ? Tell me they didn't destroy more '58 Plymouths in that movie! I doubt she wanted to run over anybody. She was not shown to be destroyed. So I believe she survived. So I'm only converting pics posted up to january 2013: until then there are still a lot of vehicles pics on photobucket, but after that these are mostly "off-topic" pics. I saw a 1958 Plymouth at a car show in Port Townsend that was in the exact same colors as this car. However, it was a sedan. Explorer4X4 wrote And I just realized that "qwerty" was the first six letters on the upper left corner of the letter area on a computer keyboard! Is it wrong to paint a 1957 Dodge Royal Custom sedan red/white like Christine? Or should I go black with white scallops? Shouldn't the name 'Christine' be in the extra info? I have seen this car in one piece at the LeMay car museum.